Are you feeling overwhelmed by your family heirloom collection? We have been having this discussion at our house. What is the best long term archival solution for family heirlooms? Have you considered donating or selling your family heirlooms to a museum? 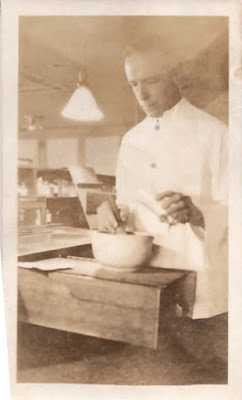 Mae Moss Coffman was known as "Coffee" to her co-workers. Mae Moss as a young woman. Oral history was that she had a photographer boyfriend. The first step is to identify a museum that might want your family heirlooms. Make a list of museums that you have visited or that are on your list to visit. I tend to visit museums that might have historical collections related to my family history. For example, one of my favorite museums is the Oakland Museum of California (OMCA). 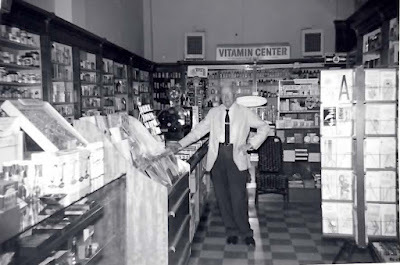 I have tons of family history centered in Oakland, California. My grandmother and her sister grew up in Oakland and were surrounded by many family members who lived in Northern California for decades. Perhaps the OMCA might be interested in my family heirloom collection. Thank you for your interest in donating or selling items to Oakland Museum of California’s permanent collection. Oakland Museum of California (OMCA) collects art, history, and natural sciences objects related to California. In order to consider your donation of artwork(s), artifact(s) or specimen(s), OMCA requires interested parties to submit a written proposal to be considered by our curatorial and collections staff. Please note, proposals for gifts that would qualify for the 2015 year-end tax deduction needed to be received by December 1, 2015. Whether you are offering a donation or sale. If the item is for sale, provide price and any conditions or terms. Connections to California are essential, so please be sure to state them. Information about the object such as: a general description; the name of artist or manufacturer (if known); dimensions; date made; history of how it was made or used; and, any other details you can provide. Good pictures. Visual documentation is also important to the process, in particular to help assess condition. How you came to own the object. Please also include any formal documentation of ownership. Once we receive your complete proposal, OMCA staff will carefully consider your offer, and make a decision based on criteria such as its relevance to the OMCA mission, how well it fits with plans for the OMCA Collection, whether it is in good condition, and whether we can adequately care for it in the future. Not all donation or sale offers can be accepted. We respond to proposals on a first come, first served basis. However, depending on the unique considerations of each proposal, it can take anywhere from one month to six months for us to respond. Please do not bring objects to the Museum. We will be in touch if we need to view the item(s) in person. Note that we cannot offer appraisals nor can we recommend appraisers. For these questions, please visit the American Society of Appraisers website or call ASA at 800-272-8258. Thank you for your interest in supporting the Oakland Museum of California." This seems like a great model for a donation to any museum. My proposal would center on preserving the collection of a working class family based in Oakland, California. The matriarch, Mae Moss Coffman Forbes was raised in an orphanage in Sacramento and came to Oakland from San Francisco after the 1906 earthquake. She was married in Oakland in 1907 to Ernest Coffman. Ernest lived in Oakland near his parents, brother and sister and their families. Ernest Coffman, Elaine and Vivian's father written by Vivian. Ernest and Mae moved to New York City before 1910 so Ernest could work as a branch manager for the Gas Consumers Association. Mae had her first daughter, Elaine in Manhattan in 1910 and Vivian was born in New Jersey in 1916. 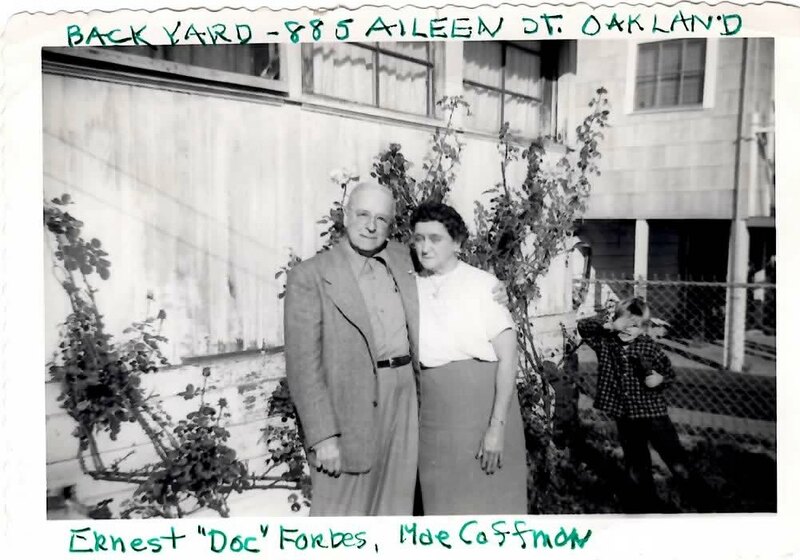 The family was back in Oakland by 1920 residing with Ernest's sister, Viola Coffman Hughes. 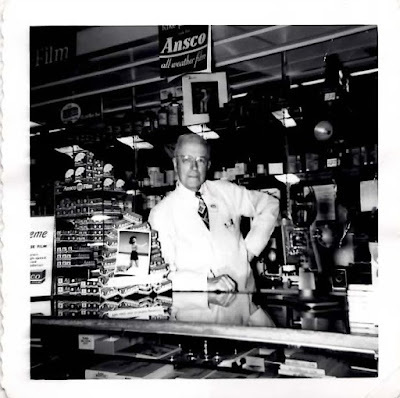 Mae worked as a cashier for Owl Drug. 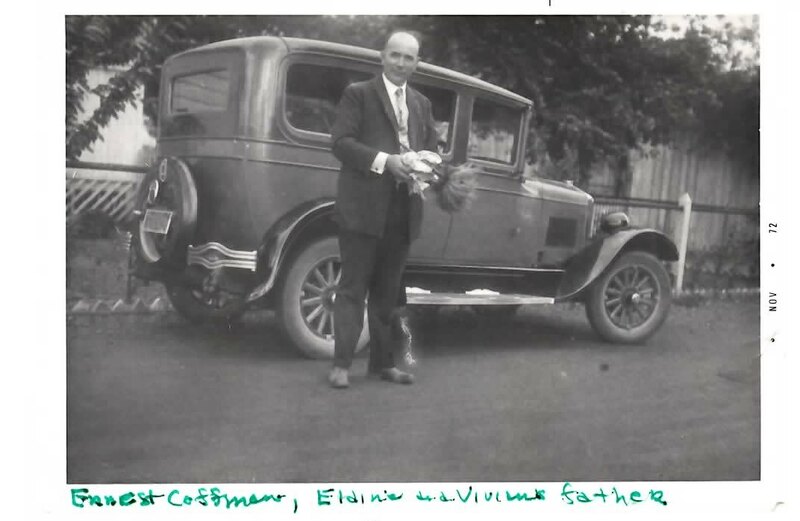 Ernest went into the automobile tire business with his brother, Otis Coffman. Ernest and Mae were divorced by 1925. Ernest kept Vivian in the care of his sister, Viola Hughes and Mae kept my grandmother, Elaine. Mae remarried to Ernest "Doc" Forbes, the pharmacist at the Owl Drug Store where she worked in 1936. Doc was born in Australia in 1884 and immigrated to California in 1904. I have dozens of objects related to all of these family members that I might like to donate. To make a donation of family heirlooms, the next step is to make an inventory of your family heirlooms and write a proposal. So excuse me, I need to get busy! 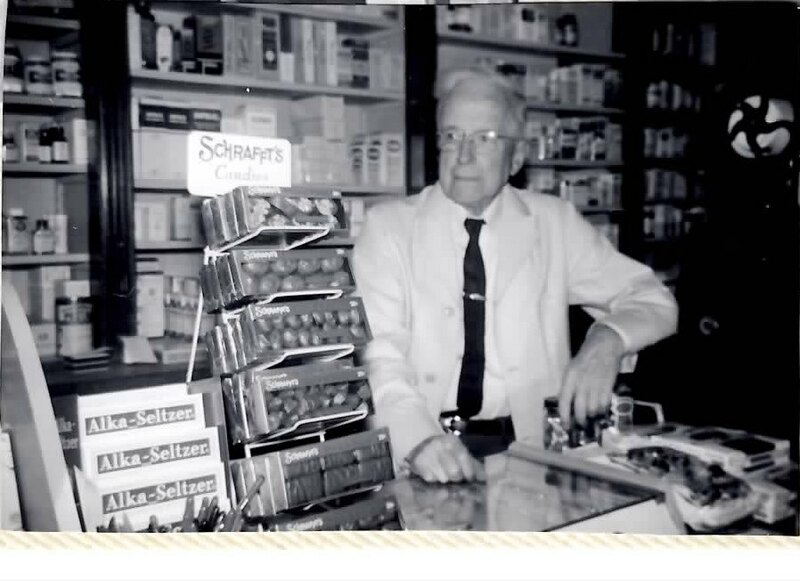 We used to have Doc's mortar & pestle at our house when I was a kid. I wonder what happened to that one? Doc was a Mason in the Sequoia Lodge joining in 1908. Governor and Supreme Court Justice Earl Warren was the Worshipful Master in 1928 and the Grand Master in 1936. I have Doc's copy of the Fifty Year History of Sequoia Lodge, No. 349 F. & A. M. Oakland, California published in 1952. I also have a pocket watch, pen and dozens of photographs of him and Grandma Mae. Are they worthy of preservation in a museum? I plan to photograph, inventory and write up the stories that go with these objects.